Siberian frost reaches Poland and Germany. The Met Orifice’s models couldn’t even predict that Monday follows Sunday with any certainty. I really have to stock in some extra popcorn, I can hardly wait until next year when they miss that mark as well. Will they put it down the memory hole or try to tap dance their way out of it? Curious minds want to know, ha ha. A big high above Europe. After such a dramatic stratospheric warming and polar vortex disruption this is the short term effect (reversal of mid-latitude westerlies). There is a much longer influence to follow which is the downward propogation of the gph anomaly which eventually manifests as an increase in polar surface pressure. This loads the Arctic Oscillation negative and results in above normal polar cell overturning and cold ‘spillage’ into the mid-latitudes. The North Atlantic Oscillation, as a component of the larger AO is set to become negatively loaded for further month. Under full winter conditions this would be an horrific outlook. A strongly negative loaded NAO would set the polar front and resultant jet stream and storm track south, locking Europe into colder polar cell air. However, at this point in the season, the increasing solar input is striving to reduce the polar cell area and send the polar front boundary north. The vying of signals will be interesting to watch as the polar vortex attempts to settle at a time when it seasonally fades in influence. Will a negatively loaded AO and NAO, overcome the seasonal poleward advance of the jet, given that the Sun is quiet and it is active Sun that largely produces the strongest northwards progression? They start snowfall in Italy. Sorry. The snowfall in Italy has begun. In the upper stratosphere, a drop in temperature is visible, which means the strengthening of the polar vortex in these layers. On Tuesday, February 27, pressure above the Scandinavia may increase to 1056 hPa. The pressure in the north of Scandinavia is now 1048 hPa. 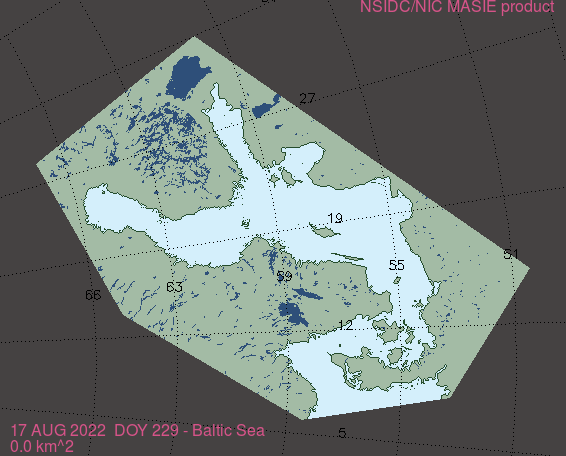 Met Office charts have Siberian air reaching all the way to Greenland by Wednesday 12:00. In fact only about 200 miles short of Newfoundland! It is obvious that the pressure at the surface of the Earth does not depend on the troposphere’s height (latitude). 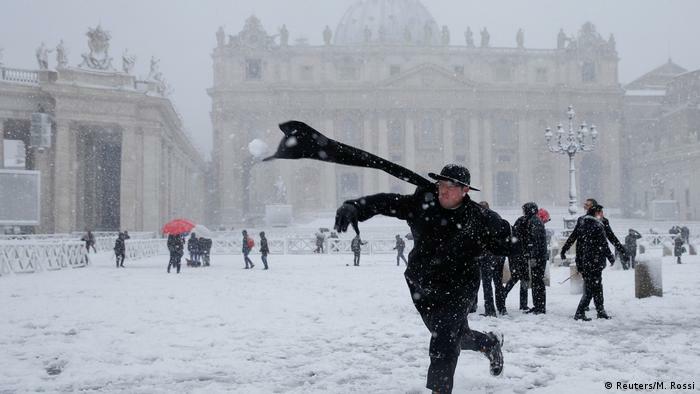 Strong snowfalls reach Siena in Italy. Is it that the Met-Office is over-reliant on expensive computer models for making their forecasts? I would question the real skill some of these models have when events such as the situation is now. 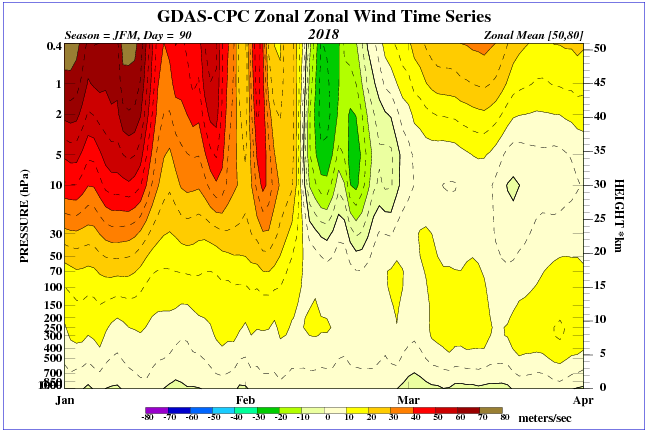 Currently we have the effects of the recent sudden stratospheric warming (SSW) reversing or stalling the normal westerly flow with retrogression. These models have previously shown reasonable skill at long term forecasting (more than 5 days), however now when the normal working parameters are not there (westerlies not moving as expected, normal highs and lows are positionally swapped, and moving in different (anomalous) directions and speeds) they are foundering. I question that all the weather model’s internal dependencies between parameters now being correctly calculated. Can these models give a fair forecast accuracy further out than 5 days currently? I suspect not. IMO, it’s not that they are not useful but that they may not be as good as usual in the current abnormal situation. Maybe the Met-Office needs to look at the operation of their models, and look at how forecasts in these kinds of situations were made before such technology was used, to give them more insight as to what is happening and what is required to improve these models. 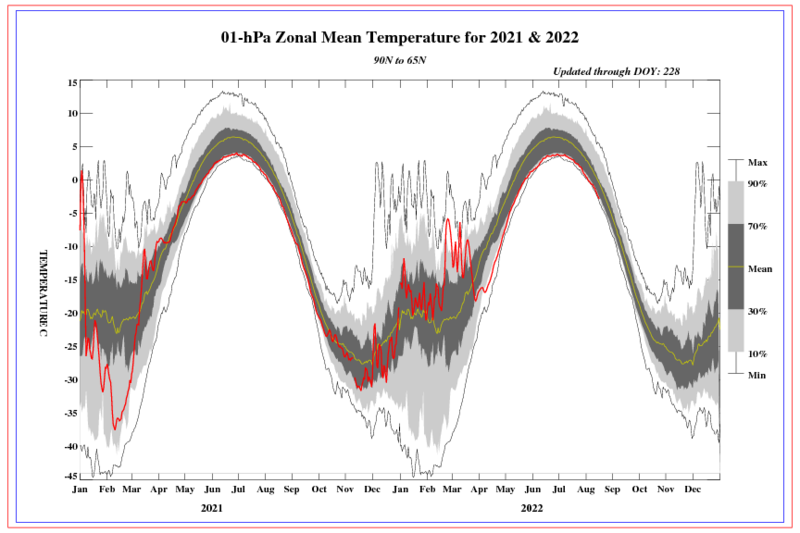 The 2013 downward propagation of gph to surface pressure and then central England temperature correlation is shown here. But is of course an earlier in season phenomenon and hence more loaded by the disturbance. Morning temperature in Southern Europe. BBC News showing shots of light snow falling in central London now. Freezing winds from Russia are bringing Arctic conditions to the UK. Snow is forecast to start settling on Monday and continue to build up throughout the week. BBC Weather warns that southern England may experience a “full-blown blizzard”. Rome under the white blanket. The Italian capital’s schools were ordered closed, while train, plane and bus services were crippled. The current temperature in the south of Europe. In Great Britain, the “lake effect” now occurs with the eastern winds. Moisture is accumulated by cold wind blows over the North Sea. The temperature today in England will fall. 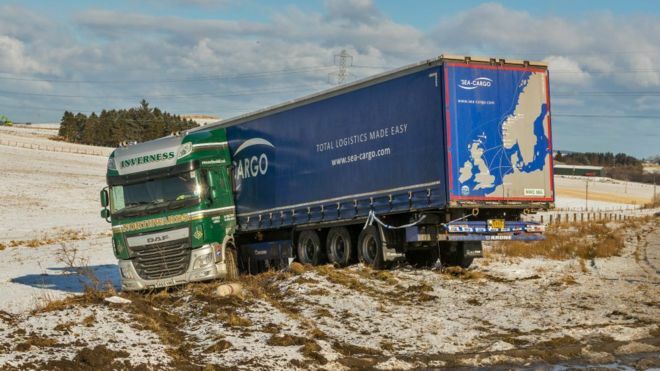 “This week looks like being the coldest period we have had in the UK for a number of years,” Britain’s weather service, the Met Office, said on Sunday, warning of travel delays. “Parts of England and Wales are likely to see their coldest spell of weather since at least 2013—perhaps 1991,” said the Met Office’s chief forecaster Frank Saunders. Kent, Surrey, Suffolk and Sussex are among the worst-hit counties, seeing 5-10cm of snow, while north-east England has received up to 8cm (3in). 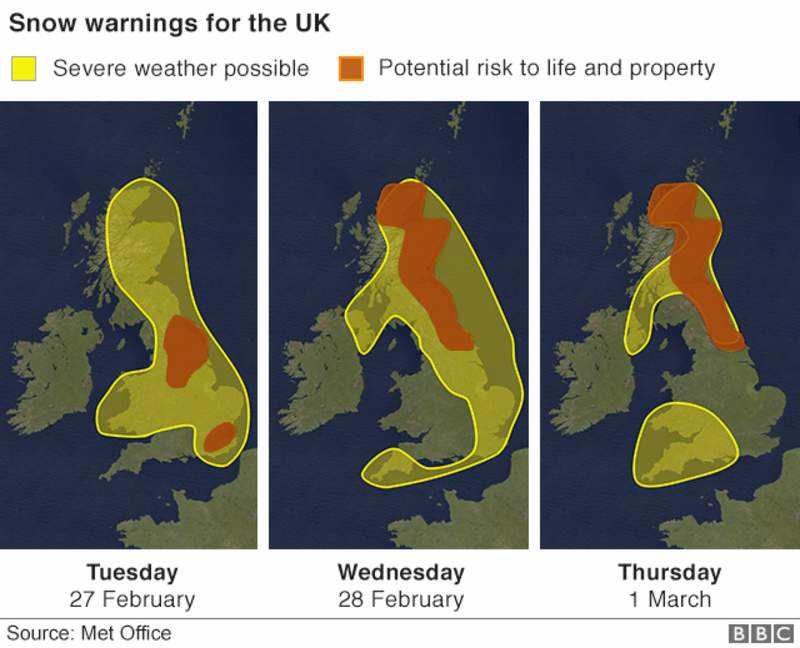 BBC Weather meteorologist Gemma Plumb said: “On Wednesday and Thursday it is going to feel bitterly cold with a lot of areas seeing maximum temperatures below freezing. The pressure over the Gulf of Bothnia has increased to over 1057 hPa. Falling AO means snowfall in the south of Europe. Quickly freezes the Baltic Sea. The polar vortex begins to accelerate in the upper stratosphere. Recently, geomagnetic activity has increased. An extreme Siberian cold snap sweeping across Europe is claiming lives in Poland and Romania, but also dusted the ancient ruins of Pompeii with snow Tuesday and prompted Amsterdam authorities to prepare the city’s iconic canals for ice-skaters. Naples city officials said they were misled by forecasts and ended up unprepared for the snow. In the Netherlands, authorities banned boats from some of Amsterdam’s iconic canals so they would freeze over and residents could lace up ice skates and glide over the waterways for the first time since 2012. 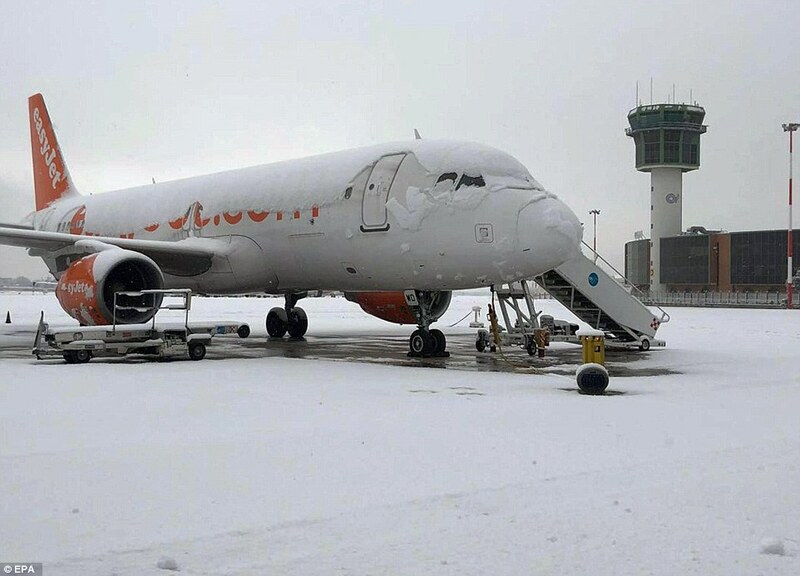 “Lake effect” on the North Sea brings snow to the UK. Very heavy snowfall will occur in northern Spain. Vettel: “Considering that it was snowing also, at the end of the day it’s OK, but it’s very difficult to get the tyres to work. Everybody is struggling with the same issues. We all recall the hysterical reactions from global warming alarmists whenever an Antarctic glacier calves and a huge chunk of ice cap breaks away in the summertime. The headlines would scream: Ice chunk as big as Manhattan breaks off! (due to global warming, they want us to believe). Yet in the wintertime when such a mass (or even far more gets added suddenly), you only hear silence. Strong snowfall in the Pyrenees and southern France. This acceleration, experts said, circumstantially points to climate change, which has—over the same period—warmed the Arctic region twice as fast as the global average.